Sam and I were wandering around the Mission when we decided that we wanted to try some of the famous authentic Mexican fare that everyone talks about. We passed by a few taquerias which offered standard tacos, burritos, and quesadillas. When we saw Taqueria Vallarta, there was a line out the door, leading to what looked like an indoor taco stand with tortillas constantly steaming and 8-9 different meats continuously heated in a split square. The line out the door was already a good sign, but what really attracted me here was the mention of Sesos, Cabeza and Lengua. That’s cow brain, head and tongue in Spanish. I’ve already tested the Cabeza and Lengua at my favorite taco truck in San Mateo, so I thought I’d give those a try here. Sorry Sesos, I’ll have to try you later. . A tip for the wise, the cashier is at the very back of the restaurant where you can also order other Taqueria delights. I thought one of the funniest things about this place was the legend of the 49ers that they had in place. You can tell that someone really loved the ‘9ers (and who wouldn’t?). It’s all thanks to the 49 colonists that came to San Francisco and were found too much golden. That is reason why the great football team in San Francisco is called the “49ers” Them the baseball team got is name the “Giants” because of the big buildings so that is how the teams got their names. 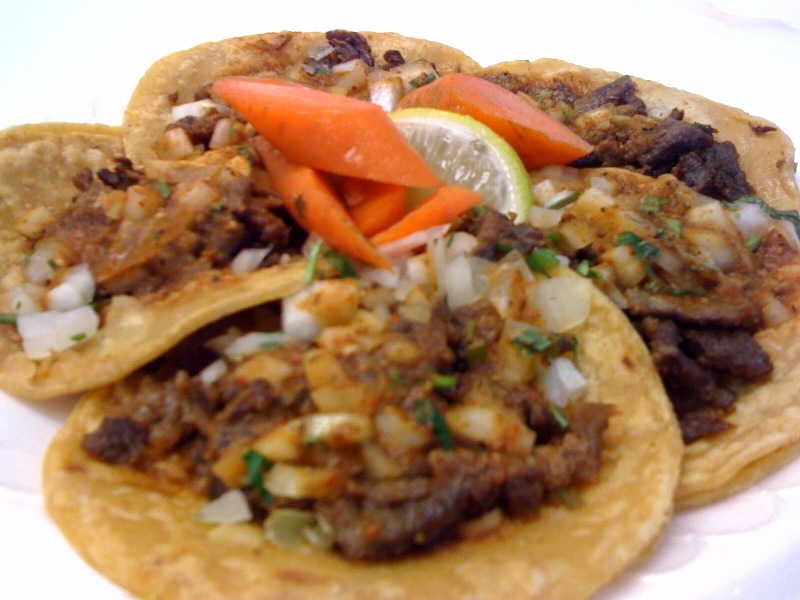 Cabeza Taco – What do I love about Cabeza? The fact that it tastes like beef that’s been stewing until the meat is tender. When I compare cabeza tacos, I always compare it to my first, Tacos Peralta taco. I found the flavor of these tacos to be a little perfume-y. The flavor just wasn’t there. 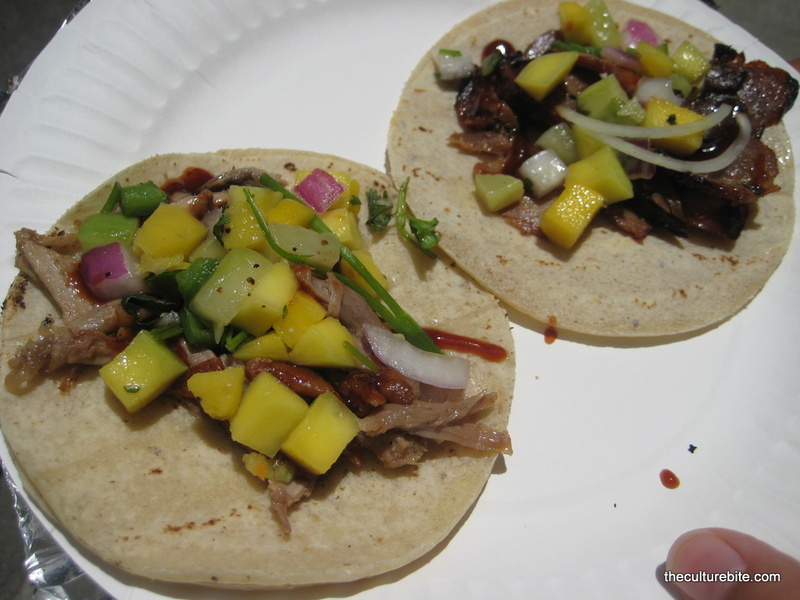 Lengua Taco – Oh, the texture of Lengua is amazing, the taste is amazing. Once you get the thought of having another animals tongue inside your mouth, everything is alright. I found the Lengua here on par with Tacos Peralta. Mijita is terribly expensive for street-style Mexican food. K pointed at my $9 2-taco order and said, “I get those for $1.50 each at Taco’s Peralta in San Mateo.” Knowing that made it difficult to enjoy my meal. Mijita is situated in the back of the Ferry Building and gets quite crowded during lunch time. Wait staff is friendly, especially when I found a hair in my fish taco once and they replaced it and gave me a flan for free. Pretty bad. I don’t even understand why this place is crowded. You can walk over to one of the taco trucks near by and get better Mexican food for half the price. Fish tacos – I had this on a seperate occasion, so I don’t have a photo. I was a little turned off by it after I found the hair. Once you’ve had Nick’s, no other fish taco comes close. 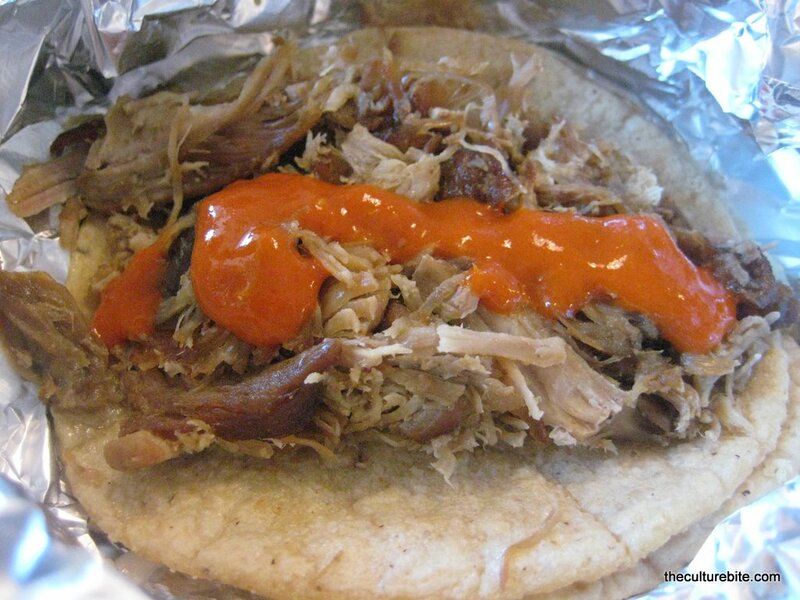 Carnita’s tacos – Since I’m a picky eater, I ordered 2 tacos minus the salsa. When I got my order, I was surprised to find only meat and a tortilla wrapped in foil with no cabbage. It looked pretty unappetizing, so I asked for hot sauce. With the sauce, the taste wasn’t too bad. Meat was pretty dry and the tortillas kept cracking. Totally not worth my $9. 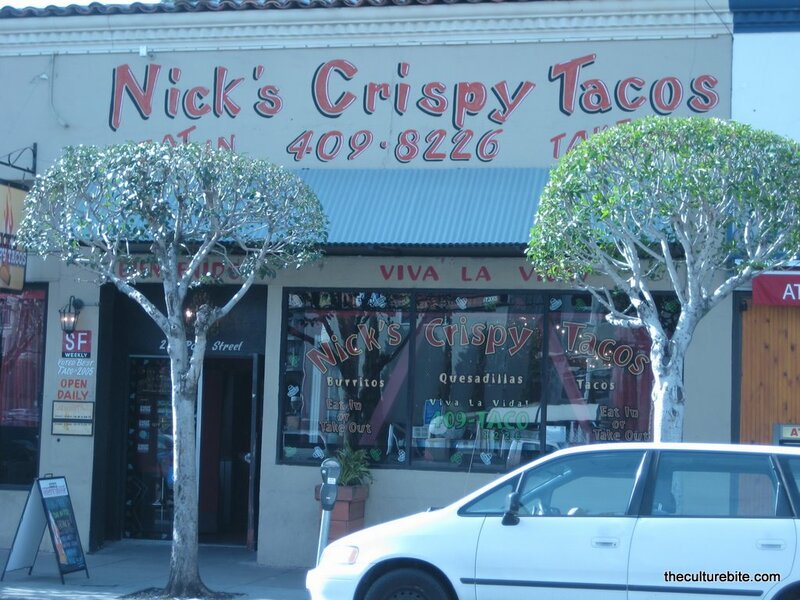 I first discovered Nick’s Crispy Tacos when 7×7 released it’s 100 Things to Try Before You Die. Back then, I was completely oblivious to good quality fish tacos. I had been eating Rubios at least 2-3 times a month thinking it was the greatest thing on earth. Boy, was I wrong. Now, stepping into another Rubios would be blasphemous to the fish taco gods. The decor at Nick’s Crispy Taco’s is actually unexpected. The hipster-style interior is gaudy red with crystal chandeliers hanging from the ceiling. The restaurants double life consists of a heavenly taco place by day, the trendy nightclub Rouge by night. I only stick to what I know is good here – pescado (fish) tacos “Nick’s Way” ($5), an elote (corn) and a horchata (rice drink). Pescado Tacos – When you order this, you MUST order it “Nick’s Way,” which is about $1 more. Trust me, it’s completely worth it. “Nick’s Way” is an extra crispy-fried corn tortilla wrapped with a soft tortilla with jack cheese and guacamole in addition to your choice of filling. These are the best fish taco’s I’ve ever had and any other fish taco I’ve had since has never come close. The pescado taco consists of a layer of cabbage and red onions, Baja-style fried white fish, fresh guacamole, lime mayonnaise, salsa and cilantro. The tacos are enormous, so you can get away with one if you’re looking for a light meal. If you like spicy, ask for the habanero sauce. They keep that hidden in the back and it’ll add a huge kick to the taco. Elote – I LOVE Mexican corn. I get this any time I’m at a county fair. Mexican corn is grilled corn rubbed any kind of seasoning. This one specifically had butter and topped with Mexican cheese, chili powder and cayanne pepper. It’s so rich and creamy, and mucho deliciouso. It really does make this healthy grain/vegetable unhealthy for you. Horchata – Horchata is a Mexican sweet rice drink flavored with cinnamon and other spices. It pretty much tastes like the left over milk after a bowl of Cinnamon Toast Crunch. It’s a little chalky, but I still love it. The Nick from Nick’s Crispy Taco’s is actually at Underdogs on Irving now. They pretty much serve the same menu, including the famous fish tacos. I like to go there since it’s more convenient for me, but parking is pretty rough during certain times of the day. I shake my fist at NIck’s Crispy Taco’s for setting my fish taco standards so high. I will probably never eat a fish taco anywhere else ever again.